In this working agreement, consultants from eConsultants work in customers' office anywhere located in the world. They will engage with the clients' team, interact, get information and figure out the correct way forward after consulting with eConsultants Headquarters. If necessary, eConsultants will provide a back-up team based on the deadlines discussed upon and the volume of work that needs to be finished. In this particular case, the consultants initially work on-site and later take occasional trips to client place if there is a need. Selection of remote consultants also help customers to save money on traveling and staying costs. This is the most cost effective way in having eConsultants work for you. Our consultant will work for the customer from the office of eConsultants. The clients do not have provide any office space or bear travel expenses. With the support of modern technology, managing remote resource nowadays is much easier. Ideal for companies working on a tight budget. Time and Material: Before we start working on a project, we try our best to understand its scope. We speak to the client, ask questions and based on that we work out time frame and price. But we have noticed several times that more we sink in the job, the more we realize that a little change, improvise or tweak can make the product even better. But it is impossible to fathom before the work starts and a sizeable amount of time and energy is spent behind it. On the other hand, the clients after the project is half way through frequently discover that if he could change this portion or add that component the product will be even more helpful for him. This is the place where projects based on Time and Material agreement work out best. It gives the client and us the flexibility to improvise or change the product. In this billing agreement we know we will be paid as per the time spent and the client doesn't have any obligation because he knows he will be compensating based on the extra work performed by us. Fixed Price: This is ideal when the client requires a project completed in a very short span of time. It is also suitable for small clients with limited budget. Before the project starts the client has a clear picture of how much he will spend and what exactly he will get out of that. We, one the other hand, are also clear that we will only focus on the job in hand instead of exploring other possibilities. But the question remains, which one is better? To be very frank with you, both have inherent advantages and disadvantages. Open discussions between the client and our team of consultants lead to the right solution. After taking up a project the very first question that we ask ourselves is to which development methodology should we follow? There are basically two methodologies. 2. 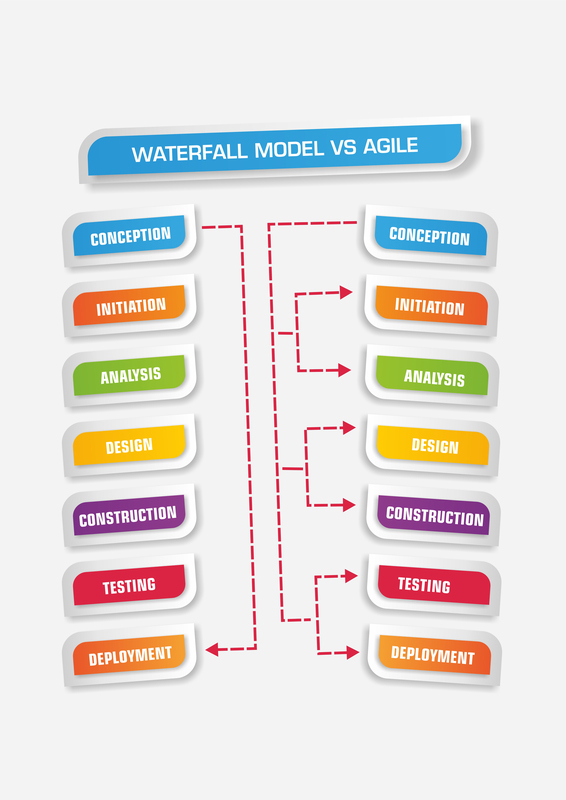 Agile: A type of Rapid Application Development and newer than Waterfall. Both the methodologies are immensely matured, tried and tested and fetched stupendous results.